Newbury Spring Festival is a glorious fortnight of world class music in Newbury and its beautiful neighbouring villages, with up to 45 events in 18 venues, and where international symphony orchestras, ensembles and soloists rub shoulders with jazz legends, world music artists and the stars of tomorrow. The Festival was founded in 1979 to provide the opportunity to promote culture in the region by creating an annual festival accessible to all. 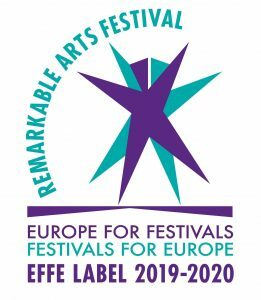 It aims to bring excellent, new and innovative work from around the world to a variety of local venues adding to the economic and cultural wellbeing of the area, and to continue to create opportunities for young people, existing and new audiences to enjoy the arts. Now in its 40th year, Newbury Spring Festival is funded entirely by private donation, charitable giving and corporate sponsorship and enjoys its reputation as one of the most important cultural events in the region, attracting audiences of several thousand each year from the immediate area and beyond.